Russia’s fourth largest airline, UTair will be able to launch two new routes from Krasnoyarsk after the local airport improved turn-around time for the airline’s ATR 72-500. These improvements were initiated by UTair, the only operator of ATR 72-500 in Russia with the fleet of 15 aircraft of the type. This carrier flies from Krasnoyarsk’s Yemelyanovo airport to Moscow, Novosibirsk, Surgut, Tomsk, Irkutsk and Tyumen. ATR 72-500 is operated on five of these routes. After the airport’s ground service provider reviewed their ATR handling procedures, the turn-around time halved, from 60 to 30 minutes, Yemelyanovo airport authorities reported. 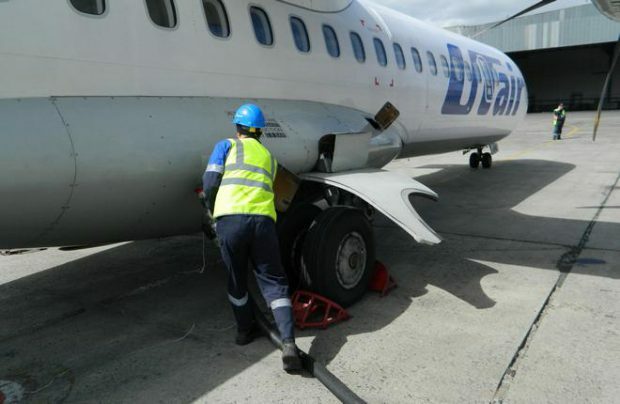 In particular, loading and unloading of aircraft is done in one stage, not two. Refueller arrives at the same time when passengers disembark the plane. The crews were also instructed to taxi to the terminal after landing without having to wait for the tow-truck, which is only used to tow the aircraft to the runway. According to Yemelyanovo general director Andrey Metzler, optimizing ground handling procedures for regional aircraft is a part of a complex program aimed at enhancing the airport’s performance, which was launched early in 2016. In the first half of this year Yemelyanovo handled 745,800 passengers (down 4.7% year on year). The traffic grew 4% on domestic routes, to 612,000 passengers, whereas international traffic plunged 31% to 185,500 passengers. According to the Federal Air Transport Agency the airport in Krasnoyarsk now occupies 17th position in the list of the Russian largest airport ranked by traffic.